How should I sign Form G-639? If you request records about yourself (you are the Subject of Record), USCIS requires you to verify your identity by providing your full name, your current address, your date of birth, and your place of birth in Item Numbers 1.a. – 4. Likewise, if you request records about another individual and on behalf of that individual (someone else is the Subject of Record), USCIS requires you to provide a statement from the individual verifying his or her identity, as well as certifying the individual’s agreement that USCIS may release his or her records to you. Again, you can fulfill these requirements by completing Item Numbers 1.a. – 4. A Notarized Affidavit is a type of verified statement made by the subject and witnessed by a notary public. It’s a sworn statement of fact that has legal consequences if ever found to be untrue. A Sworn Declaration Under Penalty of Perjury is a similar promise. It’s a sworn statement of fact. By signing this statement, you are swearing its truth and acknowledge that you have potentially perjured yourself if the statement is untrue. 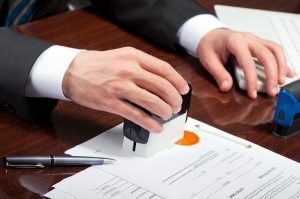 Most people choose to sign Form G-639 with a sworn declaration as it doesn’t require the additional time and expense of obtaining a notarized affidavit. In some cases, the Subject of Record cannot sign for themselves. In these situations the Requester can sign, but there may be additional requirements.